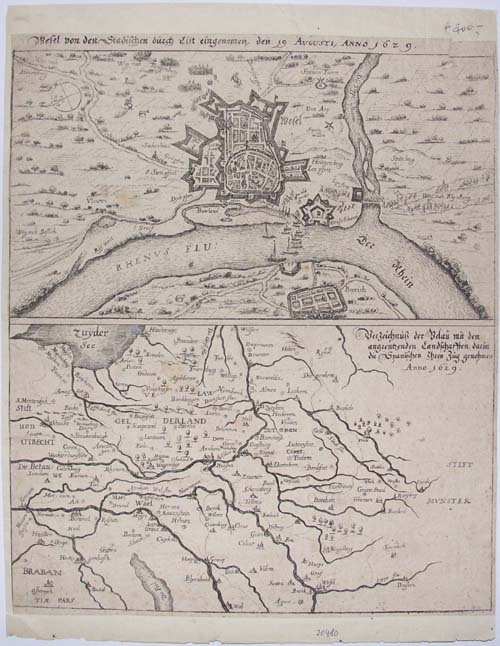 Wesel von den Stadlichen durch List eingenomen, den 19 Augusti, Anno 1629. 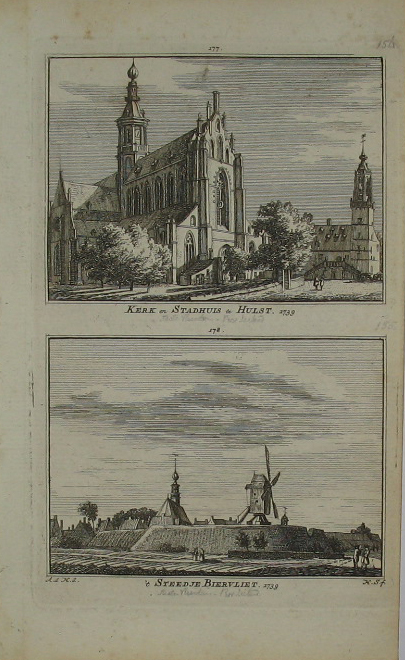 Top half of the page shows a birds-eye view of the city of Wesel. The bottom map shows the area between Wesel, Harderwijk and Arnhem. The single page print has been secured on 17th century paper. Verso blank.